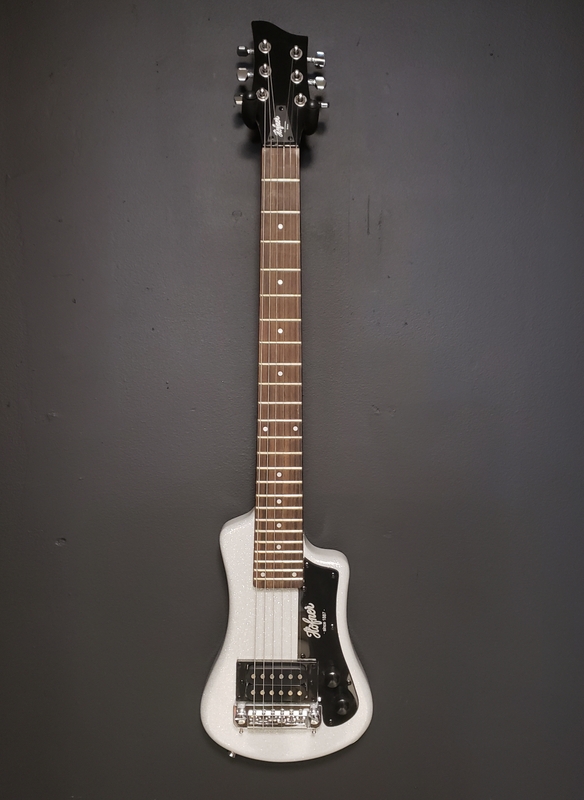 Full Sound, Full Scale, Compact Size 'The Hofner Shorty Electric Travel Guitar was first produced back in the 1980s and Hofner continue to offer this compact travel guitar for those guitarists who can't bear to be without a guitar even when on holiday! The Hofner Shorty offers full scale length combined with such small overall dimensions that it can be taken anywhere. Comes loaded with a great-sounding Hofner Open Humbucker.